I watch Youtube for one reason and that's getting an idea of real people. To see how other people live and what they are like. And YouTube really is a great place for that. The people have a direct influence on what you see and it's very raw, real and honest. Especially compared to TV. You can connect with like-minded people all over the word and find a community by watching a person, that likes the same things and thinks the same way all from the comfort of your own couch. And the anonymity online can have a positive effect as well as the well-known dangers that come with it. But it also gives people a chance to connect without judging each other for the way they look. That allows people to be themselves truly. It's basically people-watching but you can follow them into their homes and don't have to worry about them seeing you stare. And oh my, are people interesting! I have a massive respect for people who share so much of themselves. Youtubers seem to have a really bad connotation to them but I don't think that's fair. There are so many different people on that platform, literally, the only thing they have in common is that they film something and upload it. You can really find interesting, real people on there who are creating amazing stuff. I mean, of course, there seems to be a mold for people who become famous on the internet, it seems like there is one type of person that's everywhere. And I personally don't find them very relatable. And that's fine, that might be the appeal for some, to imagine living a life that is very unlike their own, incredibly care-free and where everything just seems to work out. Even though their lives aren't usually like that of course, it's the best parts of their day they show, edited and color corrected. But thankfully there are really interesting people on there, that can teach you so much and they are often so real and vulnerable on camera, it's incredible. It makes you feel like you're not alone and you can see how they deal with problems you might have as well. And I love it. So here are some of my favorite channels who are very special and interesting. You might know some, some might be new to you, then you should definitely check them out! Minnie Small: Minnie is an artist and sharing her journey of being productive without a nine-to-five job, and improving your skill. She is very good, I love her artwork and she's a genuinely nice person, who's very open about her struggles with self-discipline which makes her so relatable. Molly Burke: Moly is blind but you wouldn't even know it. She is into makeup and fashion and very educational about what it's like to live with blindness. She is confident and happy and teaches us that we don't have to pity her or anyone with a disability. She's just great. A funny and confident and happy young woman, living her life just like anyone else. FurryLittlePeach: Sha'an is an illustrator and it's great to see how she works. She is very open about everything working as an artist. For someone who wants to work as a freelance artist as well, it is great to see that it is possible and how to get started. She just brought out a children's book and it's super cute and such a great achievement at such a young age. Even if you're not an artist but you like pretty illustrations and a girl with a great personality it is a great channel to check out. 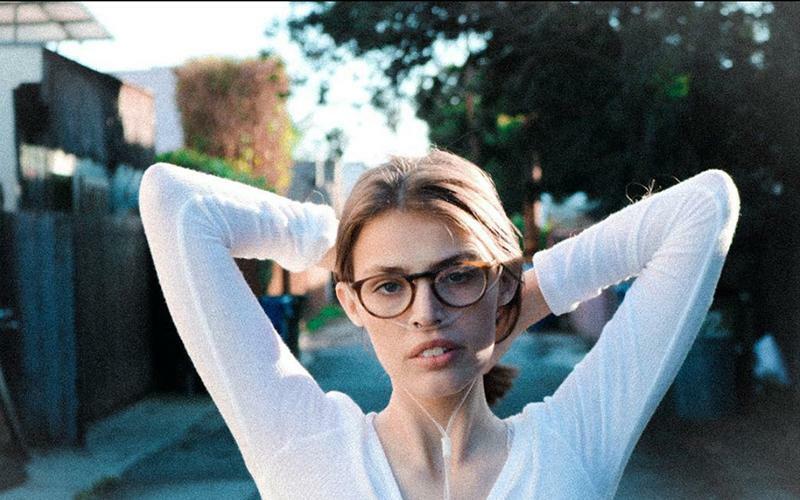 Claire Wineland: I freaking love Claire! She is one of the best people on the internet, without a doubt. She is smart, funny, confident. She is a motivational speaker and her Ted Talks are great. She did them at such a young age it's crazy I don't know where she got that confidence. She also has cystic fibrosis and talks openly about her disease and what it feels like to live close to death at all times. All this gives her such an interesting perspective on life. But she doesn't let her disease define her and that's the way it should be. She speaks out about how people should be treating people with an illness and how wrong they often go about it, and that's something everyone should work on. MultiplicityAndMe: This channel is incredibly interesting. Jess is a girl with multiple personalities. She talks openly about what it's like and you can meet her alters as she calls them, the other people living inside her body. I think it's so important to be informed about these things for people to learn to accept people who are 'different' in our society. That's one thing I love the internet for, being different makes you interesting. And if you want to learn, this is the channel for you. She is so open and educational about her condition, and she is so nice and funny as well. It's great! Haley Blais: Haley is so funny, it's amazing. She is a musician and her music is awesome, I love it and liste to it all the time! But her vlogs are just something else. Her personality is just great. Definitely check out her channel and her music! JessBeautician: If you're into healthy eating at all this is the perfect channel for you. Jess throws out all these incredible recipes, all vegan and healthy and they are all delicious! Her what I Eat In A Day videos are like no other, so well made and all the recipes look so good! I would easily say this is the best channel for vegan food without hesitating! I don't know how she makes so much great content so quickly! Jessie B: Jessie is Melanie Murphy's (who is amazing, if you don't know her, definitely check her out!) younger sister and started YouTube fairly recently and I think her channel is great. She talks openly about topics that aren't usually talked about and is very open and honest about her life and emotions, mixed in with some fun, lighthearted content. It's so good to see that such a fun, bubbly person, who seems to have a picture-perfect life has the same struggles as the rest of us, and she doesn't try to hide it. Kudos to you Jess! I just realized only girls made the list and I think that's because there are wonderful channels by girls out there that don't get the recognition they deserve, they don't grow as quickly as I would expect and also I personally find girls more relatable, being a girl myself. I do watch a lot of boys videos as well they are just pretty big channels that don't need the mention, everyone knows them already. If you have any recommendations of smaller, or bigger channels that you like, don't hesitate to leave them in the comments, or let me know what you think of the ones listed here.